A shipment of almonds has been exported from Australia to Germany using a blockchain-based trade platform. Documentation for the trade of 17 tonnes of nuts was stored on an Ethereum-based private ledger built by the in-house blockchain lab at Commonwealth Bank of Australia (CBA), which funded the trade. The bank onboarded Olam Orchards, an agricultural exporter, Pacific National, a rail haulage, the port landlord of Melbourne, stevedore Patrick Terminals and shipping carrier OOCL Limited. The pilot, the bank says, is another step towards proving that blockchain can be successfully used to execute trade, provided the ecosystem is collaborating. The trade finance function was not conducted on blockchain. It was conducted in parallel, with the documentation subsequently digitised and moved onto the platform, Alex Toone, managing director for global commodities and trade at CBA, tells GTR. CBA was among the first movers towards blockchain in the trade finance space. In 2016, it worked with Wells Fargo to execute a cotton trade from Texas to China using Skuchain’s Brackets technology. The new shipment is viewed by the bank as a follow-up pilot to that Brighann Cotton deal, despite the shift to Ethereum and the fact that the trade finance process was done off-ledger. The bank also trialled the technology for use in an aluminium warehousing transaction in 2017. Nevertheless, Toone says that the industry is a long way from broader adoption of blockchain. “The industry is not able to have a quantum leap to blockchain, because we have industry standard documentation and processes we can’t just move away from. It’s going to be a path of learning for parties. We’ve got to engage with regulators and other participants in the broader supply chain if we’re to do transactions solely on the blockchain,” he says. 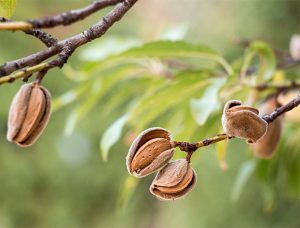 Smart contracts and the internet of things (IoT) were also deployed on the almond export, which saw the nuts delivered to Hamburg from Sunraysia, in Victoria. The parties involved were able to view and track the shipment and its storage conditions such as temperature throughout, using IoT devices. “Trade inefficiency can be extremely detrimental to our business. It is vital that as an industry we look at emerging technology for ways to enhance the supply chain to develop a more transparent and efficient platform. This project has shown that through collaboration from all parts of the supply chain this can be achieved,” says Emma Roberts, supply chain manager at Olam Orchards Australia. Bill of lading, certificates of origin and other customs documents were uploaded and stored on the blockchain during the almond export, which helped improve “transparency and efficiency”. Indeed, in this instance the technology’s potential as a “track and trace” tool have been deployed, rather than its transactional capabilities. There is increased demand for higher provenance and greater traceability among commodity players in Australia. “Through the work over the last 12 to 18 months there’s more focus on provenance. In the future, the purchaser of the almonds will be able to see what the farm was, when they were harvested, how long it took to get to port, how long they spent on various ships, what route it took and so on. Whether that’s in the agricultural space or even the metals space, where people are focusing on whether aluminium was produced through clean power, be it hydroelectric or geothermal, we’re finding more use cases for blockchain to solve,” Toone says. Gerhard Ziems, chief financial officer at Pacific National, adds: “Since the expansion of globalisation, global supply chains have continued to become more complex. This project is unique as it looks to re-imagine how the supply chain communicates and shares information. Simple access to this information provides us with an ability to better utilise our assets and provide customers with better, more efficient services.” The post Australian agri exports go nuts for blockchain appeared first on Global Trade Review (GTR).